Streambox will present next generation video compression technology, ACT-L5 codec, supporting 4K, 2K, HD and 2K stereo videos, at NAB 2018. Industry first, ACT-L5 codec delivers the 12-bit, 4:4:4 RGB color profile required for cinematic, episodic, and commercial color grading. Also, along with LDMP, ACT-L5 can deliver master quality video streams over a lower bandwidth connection for video collaboration. This is ideal for live events, digital signage, broadcast, and sports video contributions where 12-bit, 4:4:4 RGB and High Dynamic Range (HDR) with higher frame rate. The Streambox ACT-L5 is an adaptive bitrate codec capable of encoding full resolution, 4096 × 2160, 4K or 2K Cinema DCI 23.98, 24, and 25 fps — or — 3840 x 2160 UHD at 60, 50, 30, 23.98, and 24 fps and 4K transport from 2 Mbps to 120Mbps in real time. 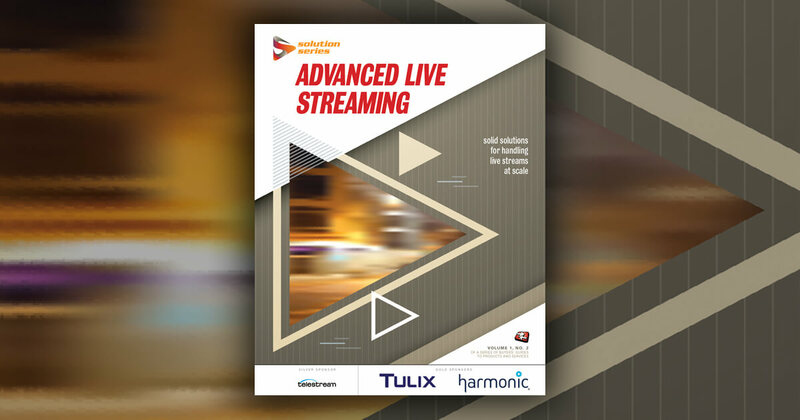 ACT-L5 codec is integrated with LDMP (Low Delay Multi Path) reliable video transport for low latency video streaming over bonded wired and wireless IP networks where lower cost networking is desired. ACT-L5 codec is currently shipping with the Streambox Chroma rackmounts with an upgrade options for 4K and 12G-SDI video system. For more information ACT-L5 you can download our flyer below or contact our sales team. If you’d like to see Streambox technology in action you can reserve a spot for a personal demo at NAB 2018!